Polyester fibre, plastic pellets and Ethylane-Vinyl Acetate foam. Chip… or is it Dale? 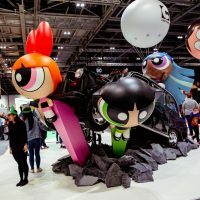 First came the mobile app created by Disney Japan – a Candy Crush-type game on the match-three-in-a-row principle, only in this instance it is a cute collection of well-rounded little Disney faces that have to be hooked up in triplicate. The name “tsum tsum” comes from the Japanese verb tsumu meaning “to stack”, and is inspired by the Japanese art of stone stacking. 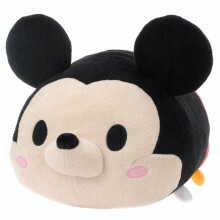 After the game proved such a great success, some bright spark thought there could be something in this ‘stacking’ system that could work for plush toys and the Disney Tsum Tsum plush was born. 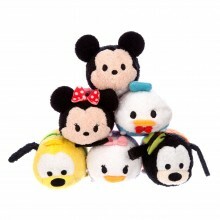 Tsum might say these little critters are kinda funny looking, but therein lies their quirky charm. Plus they’re so squishy and delectably soft that they’re just crying out to be cuddled close. Designed to sit on top of each other, forming the cuddly toy variant of a ‘human’ pyramid, Tsum Tsum can perform all manner of cheerleader feats of balance – or not, as the case may be. Watching them tumble is a delight too! On the plus side, their design is such that they have a nice flat bottom (no hints of Kim Kardashian here) that is filled with bean-bag beans that assist the stacking – and also creates a nice touchy-feely texture. 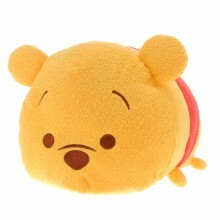 Available in three sizes, the smallest Tsum Tsum are perfectly pocket-size and are a good neat size for small hands to hold and squeeze. The middle makes a great neck cushion for travel, while the larger ones are perfect for snuggling up on the sofa – perhaps to watch your favourite Disney movie. As they are all so squishable, they are also easy to pack for travel and are handy for cosying up when you’re on the go. First introduced in Japan in 2013 as an accompaniment to the mobile game, Tsum Tsum are now selling fast, with new character ranges being introduced all the time. 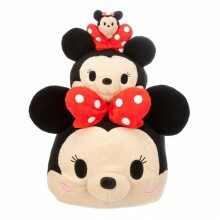 So far you can choose from a variety of Disney classics, including Mickey and Minnie, Donald and Daisy, Pluto and Goofy. There are also collections for Frozen, Winnie-the-Pooh, Cinderella and Friends, Toy Story, Snow White and Friends, Bambi and Friends, and Phineas and Ferb. Some of our personal favourites are the super-cute Stitch, Figaro from Pinocchio and Cruella de Vil (who should perhaps be renamed Cutie de Vil in this instance, as all malice seems to have been eliminated from her sweet visage). The beauty is that everyone can choose their own favourites and, with the mini collection at the pocket-money price of £3, they are reasonably purse-friendly, too. 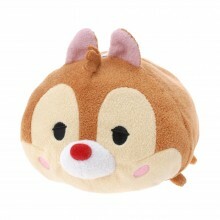 Disney Tsum Tsum also includes a collection of clothing and accessories, including a squishy soft pencil case, all available from The Disney Store. 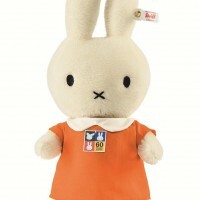 Good For… dexterity; hand/eye coordination, and manipulation, and hugging; communication skills; vocabulary, imaginary play; story telling and role playing; sharing and interaction. Keep in Mind… Ah yes, the phenomenon of the ‘collectible’ invariably means, once your child is hooked, you may end up amassing quite a collection! What Kids Love They are super-cute and very cuddly. And who ever grows out of the joys of stacking something high – and then knocking it down to spectacular effect! What Parents Love That handy soft bottom might come in useful to wipe those grubby fingerprints off your ipad – assuming you can prize both table and Tsum Tsum from your child’s grip. Designer Details The first Disney Store opened in Glendale, California in 1987. There are now more than 300 Disney Stores across Europe, North America and Japan, with more than 225 million people visiting each year. Each store, along with the expanded assortment at DisneyStore.com, offers a magical shopping experience unique to Disney, one of the world’s largest and most successful entertainment companies.